Through more than 100 years and bridging four generations, Jydeland has manufactured labour-saving machinery for agriculture to farmers in Denmark and abroad. A highly manoeuvrable, compact and easy to use BOBMAN machine was introduced to Danish farmers in 2001. Over the last years, BOBMAN has become a first choice machine in dairy management equipment in Europe, adding to its range a compact mini mixing feeder the BOBMAN Feeder, as well as a range of efficient attachments, capable of performing all essential labor-intensive management tasks in dairy farming. Today Jydeland A/S, based in Denmark, markets and supports machines and equipment in more than 25 countries worldwide through a network of over 40 authorized distributors. Established in 1958, Jydeland A/S is today a well-known supplier of special cleaning, bedding and feeding machinery and equipment to the global dairy industry. 1908 The beginning of Jydeland Maskinfabrik A/S was a smith and machinery workshop, founded by Jens Greve Jensen in Drammelstrup in 1908. Drammelstrup is located in Jutland, known in Denmark for its fertile land, expansive forests, beautiful shorelines and diligent, hard-working people. In 1958 Ole Gits Jensen, a grandson of Jens Greve Jensen, established Jydeland Maskinfabrik. Originally the production started with beet cutters for agriculture, but later the production was expanded to include feeding wagons and road sweepers which Jydeland exported to the Netherlands. In 1995, Jydeland A/S started the production of portal tractors capable of performing all essential management tasks in tree plantations. Ole Gits Jensen was joined by his sons, Flemming Gits Jensen and Christian Gits Jensen. The factory has since 1997 been administered by Flemming and Christian Gits Jensen. In 2001 Jydeland developed a new machine designed to perform labor-intensive management tasks in dairy farms. The machine was given a name BOBMAN. 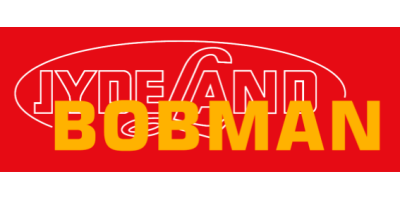 Today BOBMAN is one of the main products marketed by Jydeland Maskinfabrik A/S. Jens Greve Jensen expanded his smith craft and workshop in Drammelstrup in 1930s. He owned the biggest workshop in the area which enabled him to repair the biggest threshing machines of the time. In the 1930s he developed a blacksmith's hammer which was patented in six countries and is now exhibited in the Industry museum in Horsens, Denmark. Jens Greve Jensen was succeeded by his son in law Viktor and daughter Karen Margrethe Jensen. It was Karen Margrethe Jensen who made the name ”Jydeland” from the Danish words “Jyde”, meaning a person coming from Jutland, and “land”.